My idea with the 50s Rose collection is this: collect in a theme [roses] and a date [1950s] – then mass together on a wall. These ten plates are by Myott, England; Swinnertons, England, Wood & Sons, England and Sovereign pottery, Australia. I collected them all individually, then once a certain mass has been obtained- display them altogether. Some of the plates are paired, and there are four of the ‘squircle’ Sovereign Pottery plates: arrange them randomly or in groups to fit the space available. How beautiful is this set? Vintage Rose, fashion shape 2-60 [the squircle, I believe it’s called.] 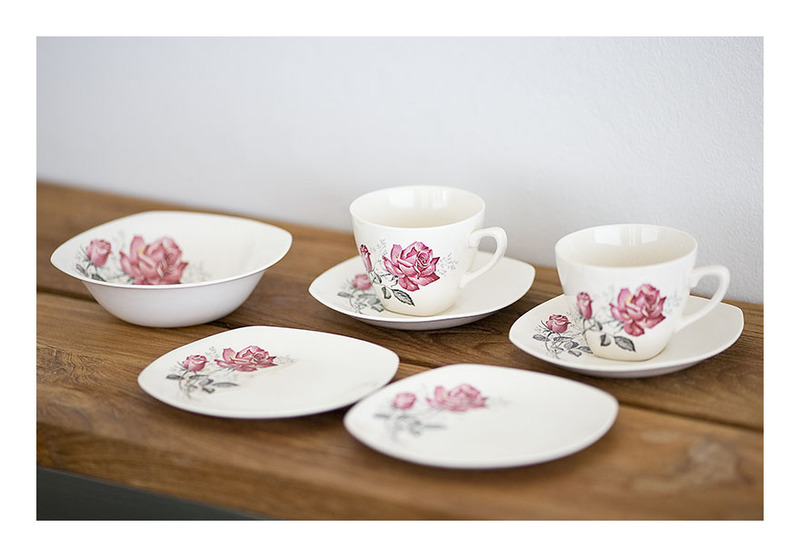 The Vintage Rose set was made in 1954, according to www.midwinderdirectory.co.uk –which you might like to check out. 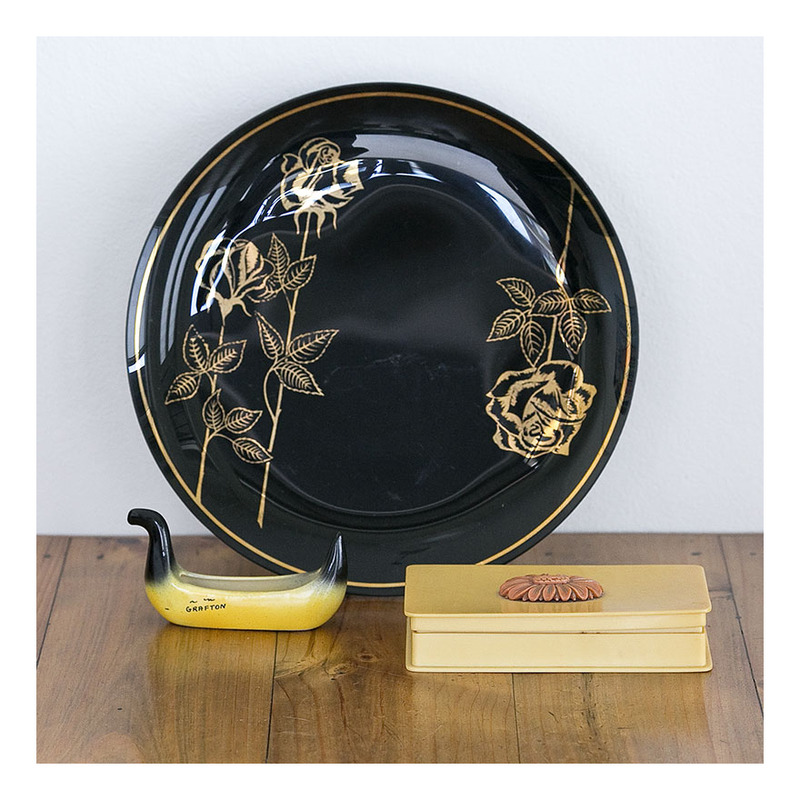 I love the shape, and the retro rose image…it’s perfect for those retro breakfasts that you always wanted to have! The set comprises two tea cups and saucers, two breakfast bowls and two side plates. Breakfast for two. 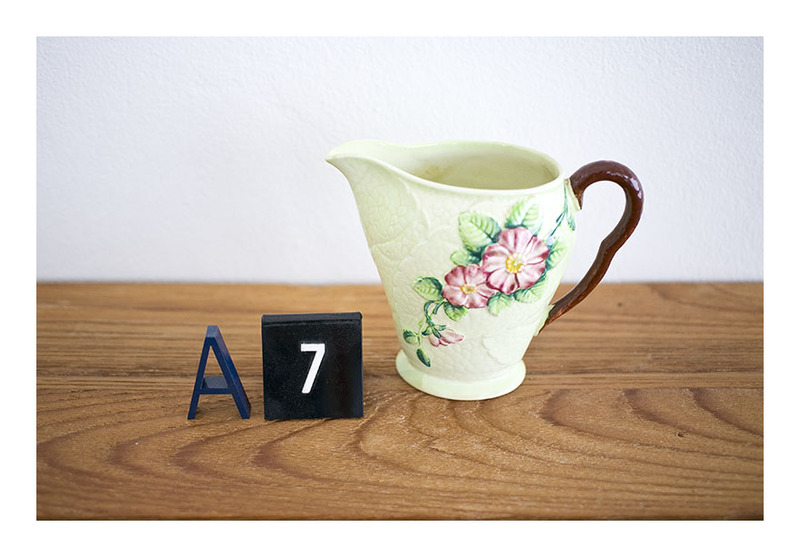 It’s in mint condition and would look great on a sideboard when not being used for tea and toast. This set is for sale: $AUD80 Midwinter is SO collectible right now!